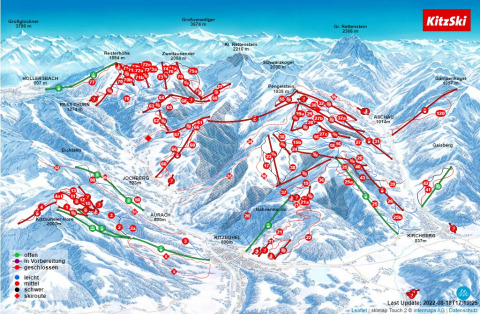 Ski resort ratings for Kitzbuhel compared to all other ski resorts. Based on 188 reviews. It's surprisingly well maintained for a European resort with great grooming, reasonably fast chairs, long bump runs, a lot of off piste powder filled bowls as well as a great variety of trails for all levels of skiers. I really enjoyed being able to cover miles and miles of trails each day, on some mornings we would catch the bus to surrounding towns, like Kirchberg and spend the day making our way back to Kitzbuhel.